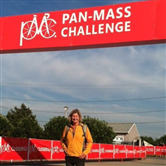 I'm a proud supporter of the Pan Mass Challenge (PMC) bike-a-thon because it is leading the charge to beat cancer by raising money for life-saving cancer research and treatment at Dana-Farber Cancer Institute. In fact, last year 100% of rider-raised revenue went directly to support the Jimmy Fund and Dana-Farber Cancer Institute's tireless commitment to finding a cure. On August 5th this summer I will take on the challenge of participating in the PMC to join in this amazing effort in raising funds to find a cure for cancer. 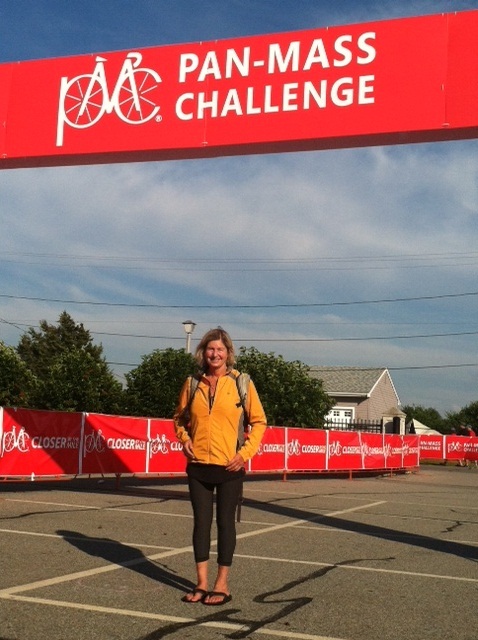 I am excited to take on this adventure and pedal the distance from Wellsley to Bourne for a total of 84 miles . Though this is a personal challenge for me, it pales in comparison to the challenges cancer patients and their family face on a daily basis. 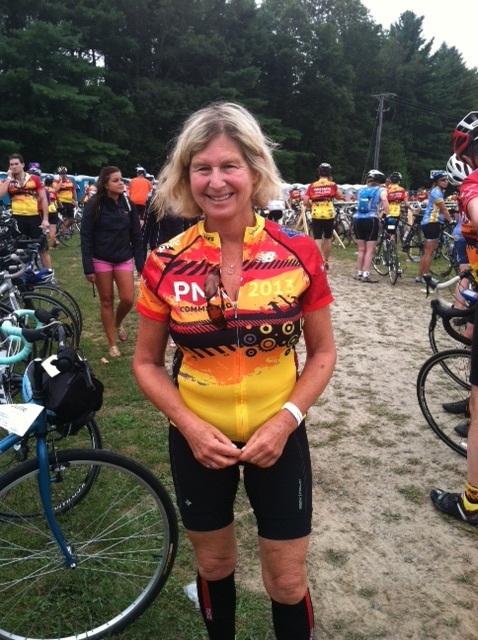 Have a great ride Sue! Good Luck Sue, Thanks for riding again! Good luck, ride well...keep it going!